Sparking rumors that the unwrapping of the OnePlus 7 is imminent, OnePlus today cut the price of its current model by 400 Yuan ($60 USD) in China only. According to India Today, this means that the OnePlus 6T now starts at 2,299 Yuan in the country. That is the equivalent of $342 USD based on current foreign exchange rates. This across the board price cut is a permanent one and is a move typically done by phone manufacturers to clear out inventory of a model that is about to be replaced by a newer device. That newer device would be the OnePlus 7. Exactly one month ago today, e-tailer GizTop listed the unannounced device revealing a treasure trove of possible, if unconfirmed, specs. If the leak was legit, we expect to see the latest OnePlus model feature a 6.5-inch AMOLED display. The device will be powered by Qualcomm's latest and greatest chipset, the Snapdragon 855 Mobile Platform. Apparently, there will be three configurations, one with 8GB of memory and 128GB of storage, one with 8GB of memory and 256GB of storage and the top-of-the-line unit sporting 12GB of memory along with 256GB of storage. A triple-camera setup is said to adorn the rear of the device (48MP + 20MP + 5MP depth sensor) and we should see a 16MP pop-up front-facing selfie snapper. Keeping the lights on will be a 4000mAh battery with 44W rapid Dash charging, and OnePlus' Oxygen OS 9 (based on Android 9 Pie) will be pre-installed. The price posted was $569, but the listing could have been a placeholder. 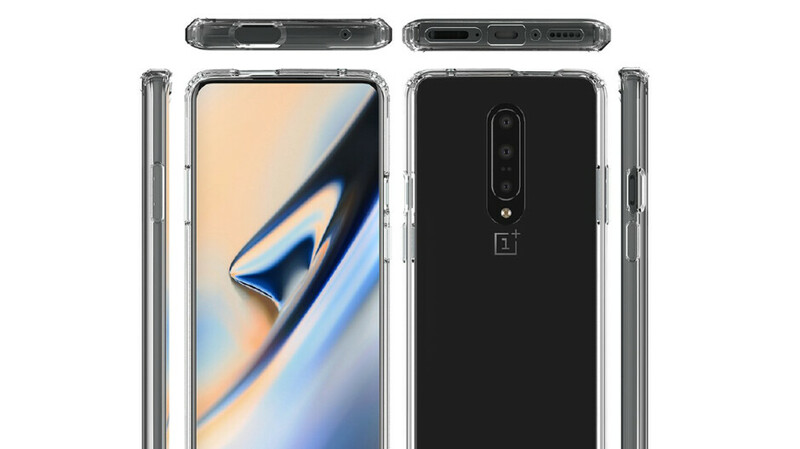 After the price cuts are calculated, the OnePlus 6T with 6GB of memory and 128GB of storage is tagged at 2,299 Yuan. The model with 8GB of memory and 128GB of storage now costs 3,199 Yuan, and the variant with 8GB of memory and 256GB of storage will now run you 3,599 Yuan. In the U.S., the OnePlus 6T model with 8GB of RAM and 128GB of native storage is available from T-Mobile for $550 (or 24 monthly payments of $22.92). At the moment, that price is unaffected by the move made today by OnePlus. There have been rumors calling for a May release of the OnePlus 7, which makes the timing of today's move rather intriguing. T-Mobile is the first U.S. carrier to team up with OnePlus and the partnership has proven to be beneficial to both firms. Even though the OnePlus 6T wasn't available to T-Mobile subscribers until last November, the carrier sold enough units for OnePlus to finish fifth among phone manufacturers selling premium models in the states. As a result, we would certainly expect to see the OnePlus 7 offered by T-Mobile. What U.S. consumers won't get this year is the first 5G enabled OnePlus phone. Back in February, OnePlus founder and CEO Pete Lau said that the company has long term goals regarding 5G in the U.S., but it won't be shipping such a model into the U.S. this year. Come on. It's 2999, not 2299. Exactly, these guys are pure amateurs. It's 450$, 110$ more than stated, just because someone can't read a freaking number lol. He just copied the news from GSMArena, including the mistakes. I saw this news on GSMArena first. Now, they already corrected it. It's funny how they make the title so dramatic, saying "introduction of next model is imminent" when prior to that a bunch of sources stated One Plus 7 will be released around May 2019 ( also stating the older model will drop in price right before the new release). Obviously the price of the previous model will have to drop a month prior. Nonetheless, very excited.